ExecutiveBiz spoke with Steve Harris, senior vice president and general manager, and a three-time consecutive Wash100 winner, about Dell EMC Federal’s multi-cloud services and what lies ahead for government information technology modernization. ExecutiveBiz: You’ve been with Dell for more than two decades now. Can you discuss how you’ve seen the organization’s public sector grow and progress during that time? Steve Harris: Dell EMC and the technology industry as a whole have undergone significant change over the past two decades. Twenty years ago, the term “cloud computing” had just been coined. Today it’s a key operating model for helping agencies use their data in meaningful ways and achieve mission objectives. Twenty years ago, just 42 percent of American households had computers. Now, more than 75 percent of Americans have access the internet on mobile devices. With that said, it’s not surprising that the government’s technology needs and approach to reaching citizens looks nothing like it did two decades ago. And as a company, we’ve adapted to support the changing landscape. In that time we’ve gone from Dell Computers to a family of companies called Dell Technologies. We don’t just serve the federal government, we’re partners in modernization and we work with every federal agency. 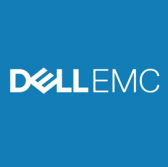 Bringing together Dell and EMC, and expanding the Dell Technologies family to include Pivotal, RSA, SecureWorks, Virtustream and VMware, enables us to provide complete end-to-end technology with the best technology in each category. Dell can partner with agencies to power digital transformation from the edge to the core to the cloud. 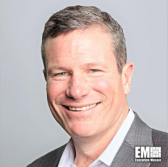 ExecutiveBiz: Dell EMC Federal and BAE systems recently partnered to provide a hybrid cloud platform for the U.S. government. Can you discuss how the Federated Secure Cloud supports individual agency mission needs? Steve Harris: The Federated Secure Cloud offers the flexibility to operate seamlessly on any Microsoft Azure, AWS or on-premise cloud system. These are customizable cloud solutions for any intelligence, DOD or civilian organization to utilize as they modernize infrastructures and transition to a secure hybrid cloud. We recognize cloud not as a destination, but as a delivery model. Cloud isn’t the goal, the goal is getting information into the hands of the warfighter or enabling public servants to better address citizen needs. Every agency is working to accomplish different missions and managing varying workloads. Federated Secure Cloud gives them the flexibility to choose the right environment no matter what the mission requires. ExecutiveBiz: Where do you see Dell EMC driving the greatest value for federal customers? Steve Harris: Dell EMC Federal acts as a partner to agencies undergoing or considering digital transformation. Dell EMC allows agencies to automate and transform their IT infrastructures, but also can help agencies transform their workforce by enabling government employees to access information faster and accomplish more, and transform security to keep agencies’ critical data safe throughout the entire transformation process. We’re not just focused on solving technology problems, but on helping agencies accomplish missions. This is where we see our greatest value. ExecutizeBiz: In March, Dell EMC Federal announced it partnered with Microsoft to integrate the Dell EMC Cloud with Microsoft’s Azure Stack platform. How is that initiative proceeding and what does the future partnership of Dell EMC Federal and Microsoft look like? Steve Harris: Dell EMC Cloud for Microsoft Azure Stack is an on-premises hybrid cloud platform for delivering Infrastructure- and Platform-as-a-Service with a consistent Azure experience on-premise or in the public cloud. It gives agencies an easily adaptable and collaborative hybrid cloud option. Again, cloud isn’t a destination, it’s an operating model, so it’s essential agencies can easily access the varied cloud options they need for all the workloads they must support. Dell EMC Cloud provides a service compatible with Azure to accelerate modernization and security. ExecutiveBiz: What new products or services are on the horizon for Dell EMC Federal? Steve Harris: As agencies continue their efforts to modernize, multi-cloud and hyperconverged infrastructure (HCI) investments will continue to grow. The possibilities when it comes to artificial intelligence, IoT, VR and AR are endless. All of these emerging technologies require IT modernization, which hinges on HCI and multi-cloud environments. With the full Dell Technologies family, our agency partners can digitally transform and adapt to all of these emerging and evolving possibilities. Steve Harris has over two decades’ experience holding senior leadership and sales roles within Dell’s federal business.